In a fit of anger, Satish decapitated his wife with a machete while injuring the other man, who managed to escape. The man, Satish, has been arrested and sent to judicial custody. 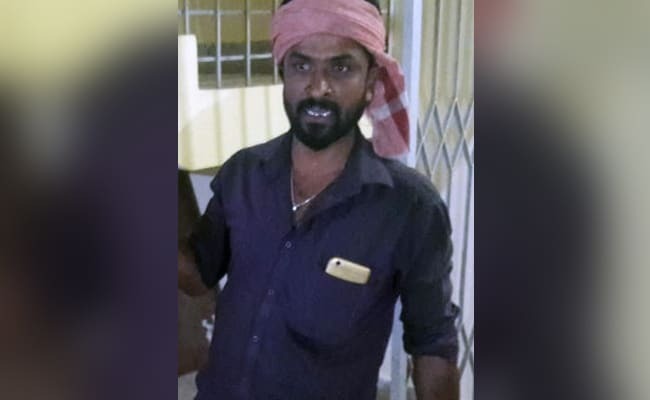 An innocuous black bag in hand, a man walked into a police station in Karnataka's Chickmangaluru in the evening yesterday. Inside it was a grisly object - a severed head, which he hauled by the hair, shocking the assembled policemen. Satish had come to surrender after beheading his wife in towering rage. The police said the man had caught his wife with another man. The stranger had managed to escape his swinging machete, but sustained a few injuries, the police said. A cellphone video of the man's revelations, shot by a constable is being circulated in the social media. According to the police, Satish, who is in his early 30s, had married Roopa about nine years ago. The couple has two children. The marriage ran into trouble after Roopa started having an affair with a local labourer. Satish said when he found out about the matter, he was angry but had forgiven her. But his wife, he said, had continued seeing the man in secret. On Sunday evening, when Satish returned from Bangalore found them together, mayhem broke out. He attacked the two with a machete, and while the man managed to escape with a few injuries, he beheaded the woman. Then placing the head in a bag, he rode his bike 20 km to the police station and surrendered. Satish, the police indicated, showed no remorse. He was only sorry that he had not been able to kill his wife's lover. The man has been arrested and put in police custody for a day, the police said. "He has been charged with the IPC Section 302, which means murder. We needed his custody for a day to complete the legal formalities," said Annamalai Kuppaswamy, a senior police officer of Chikmagalur.